Luxor recently achieved 4 out of 5 keys in the Green Key Eco-Rating Program, a program that certifies hotels based on green practices. 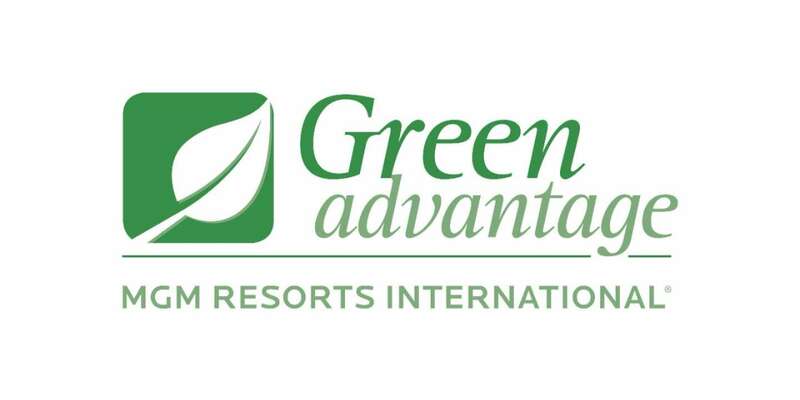 MGM Resorts International properties are the first to achieve this certification in Nevada and Michigan. Luxor reduces the construction and renovation impacts on land consumption and ecosystems. To minimize the amount of construction debris sent to landfills, Luxor partners with local recyclers to recover steel, concrete, and drywall during building remodels. Luxor established a comprehensive program to minimize waste through improved planning and awareness and a robust recycling effort. To increase recycling and minimize the need for virgin resources, Luxor maintains a robust recycling program for handling cardboard, metals, plastics, glass, paper, and kitchen grease. The result of these efforts in 2009 prevented nearly 1,000 tons of materials from entering the landfill. This is the equivalent of filling 50 tractor-trailer rigs with waste material. Luxor supports sustainable procurement practices by considering the materials, logistics, and performance of all purchases. To reduce emissions pollution from transporting goods, Luxor requires grocery vendors to deliver 90% of all purchased items through a maximum of two distributors, resulting in fewer trips to and from distribution centers. To decrease the amount of disposable products, Luxor eliminated foam cups and other foam products from the Employee Dining Restaurant and replaced it with reusable dishware. Luxor manages the use of natural resources effectively and efficiently. To conserve energy, Luxor replaced existing light bulbs with energy efficient compact fluorescent light bulbs (CFLs) and light emitting diode bulbs (LEDs). The resort also upgraded its heating and cooling equipment with efficient control systems and installed sensors and timers on exterior lights. The result of these efforts save more than 6.3 million kilo-Watt-hours (kWh) of energy. This is the equivalent of powering 525 American houses each year. To conserve water, Luxor replaced more than 21,000 square feet of grass with artificial turf and native desert landscaping throughout the exterior of the property. Luxor increases the understanding of sustainability by educating and communicating with employees and the local community. To teach employees how to conserve in their personal lives, Luxor launched “Conservation Begins at Home,” a unique program specifically designed to appeal to employees in a way that will energize, educate and motivate; creating a culture that values conserving today to protect tomorrow. To further promote resource conservation and efficient living at home, Luxor invites local electricity, natural gas, and water utility companies to employee Green Fairs.